Spring is here! I know it has “officially” been here for a while, but it definitely hasn’t felt like it. But what a difference a weekend can make! With 60 degree weather, we just had to get outside. And the first place we always think to go? 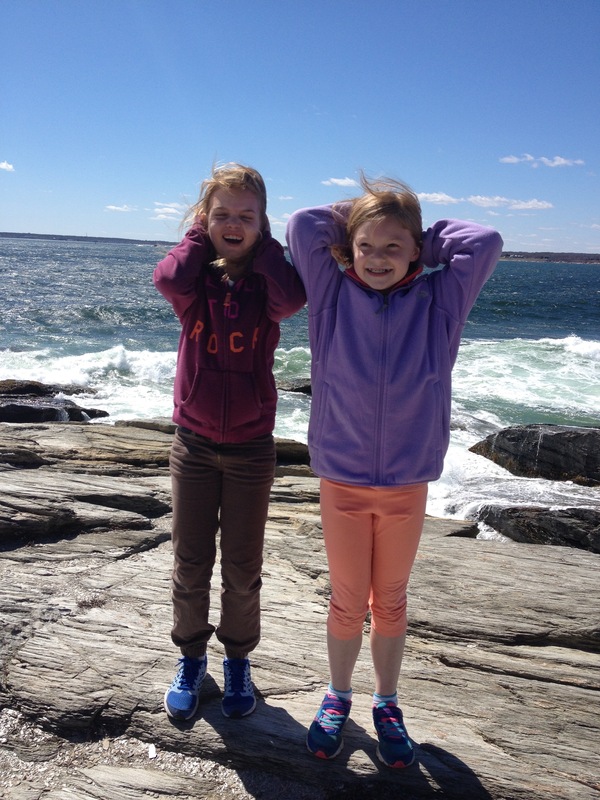 My favorite place in all of Rhode Island – Beavertail. Only this time, we got to take our old friends from Maryland for their first glimpse of the Rhode Island coastline. I love sharing this special place with new people. And what a great way to kick off this beautiful weather! Mason and Luka (best friend from daycare and preschool) loved climbing the rocks! Then all the kiddos loved scaring the parents by getting too close to the edge. 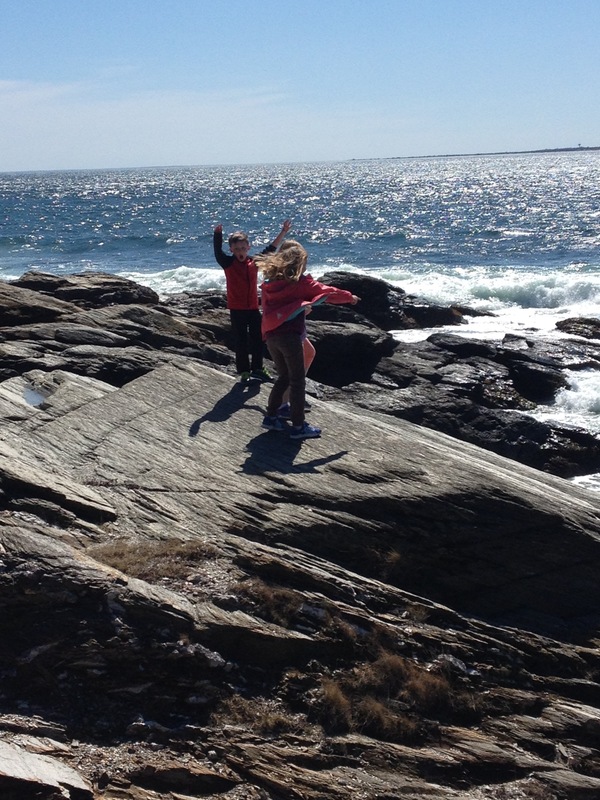 After a great Saturday at Beavertail and walking around Newport, I felt the weekend couldn’t get better. Oh, but it did! Sunday was even nicer. So after our friends left and Cooper got back from a birthday party, we were off for our next adventure. We always like to find new places to explore in Rhode Island, and Charlestown has been on that list for a while. It did not disappoint! 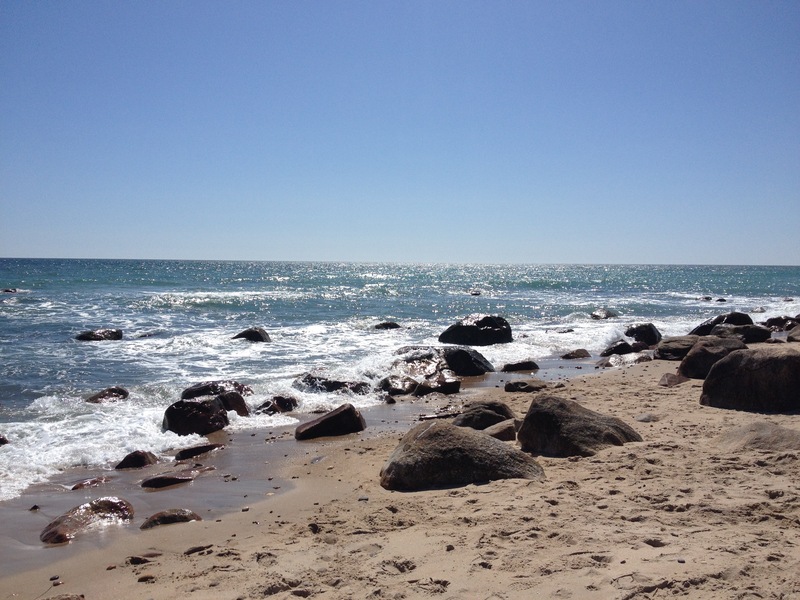 The beach we found was quiet and beautiful! 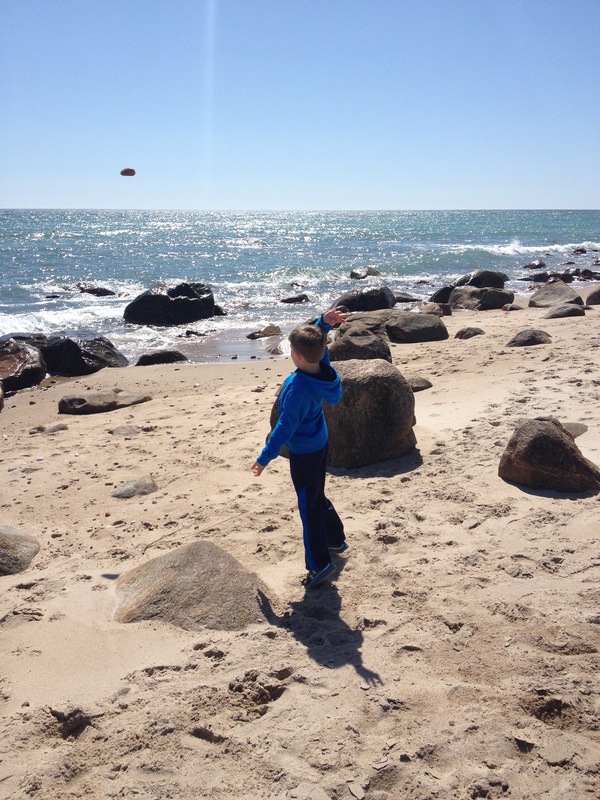 It was the perfect weather for flying a kite and throwing rocks. 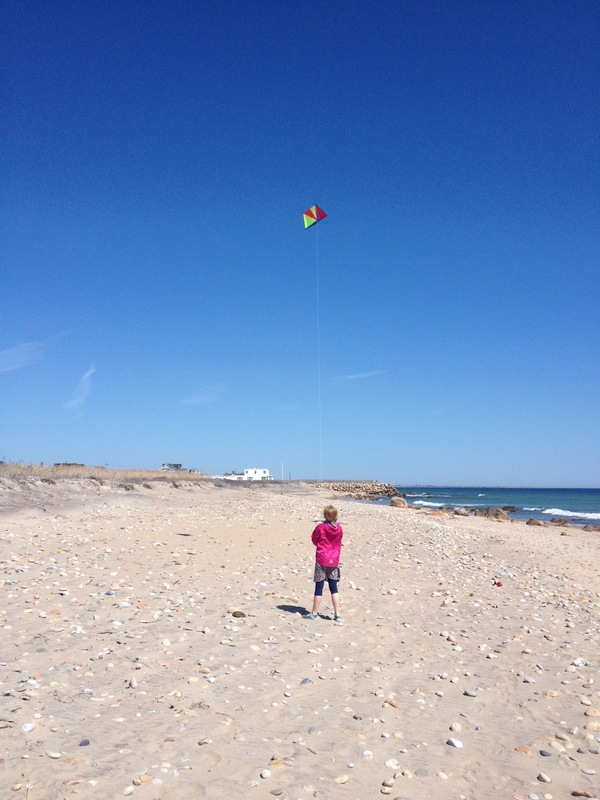 The wind was steady so no kite attacks this time around. 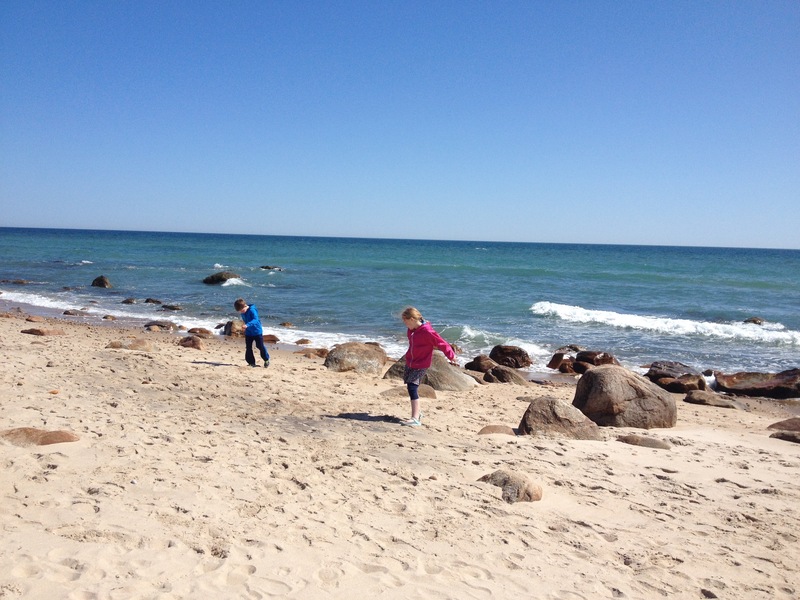 I find such peace in watching my kids play on the beach.